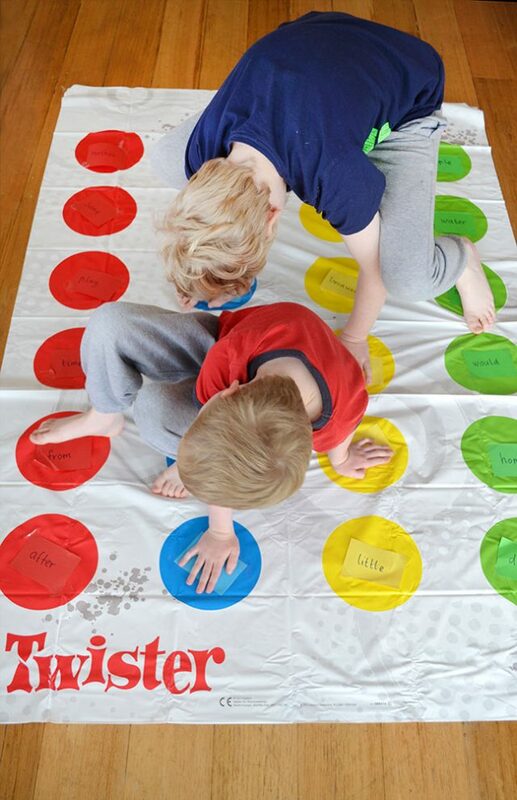 Do you remember playing Twister when you were a kid? I remember playing it with friends and laughing till we cried, falling in a tangled heap, with arms aching. Nothing much has changed. Twister is still awesome, and my kids do the same thing I did all those years ago, giggling and shrieking like maniacs till they fall in a heap. It’s just plain good fun. In a moment of sneaky parenting genius, I decided to harness that good fun and use it to help my kids practise their spelling words. 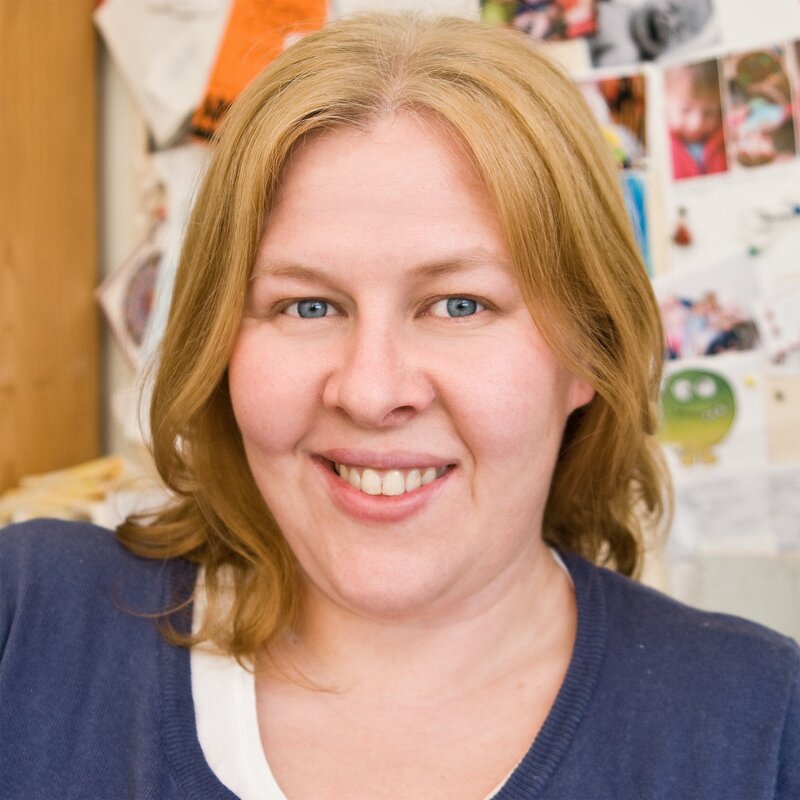 Learning spelling words may be the most boring thing ever (cue eye-rolling from all my kids! ), but not when you play Twister Spelling! It’s true, this clever family game can even make spelling words fun. Step 1: Cut the paper into 24 pieces and write a word from your spelling list onto each piece. Step 2: Set up Twister just like you usually would, with the mat spread out on the floor, and the spinner at the ready. Step 3: Tape a word onto each Twister dot. 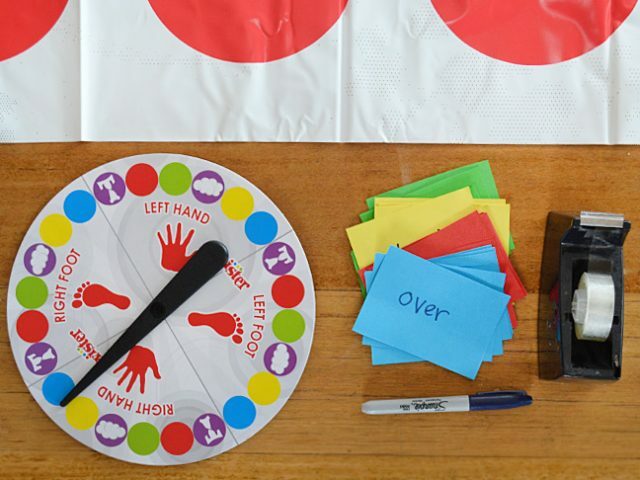 Follow the usual Twister rules — spin the spinner and take turns to put your hand or foot onto the coloured dots according to what the spinner says. In Twister Spelling, instead of just putting your hand or foot down, you need to say the word on the dot out loud, then cover it, and spell the word. If you spin an ‘In the Air’ then you get to choose the word, and whether you put a hand or a foot down on top of it. If you get ‘Spinner’s Choice’ the spinner chooses the word, and whether you put a hand or a foot down on top of it. This is a fun way for beginner readers to practice letter recognition. Tape a letter onto each dot, and have the kids say the name of the letter before they cover it with their hand or foot. Sight words are those common words that your child needs to know to be a successful reader. 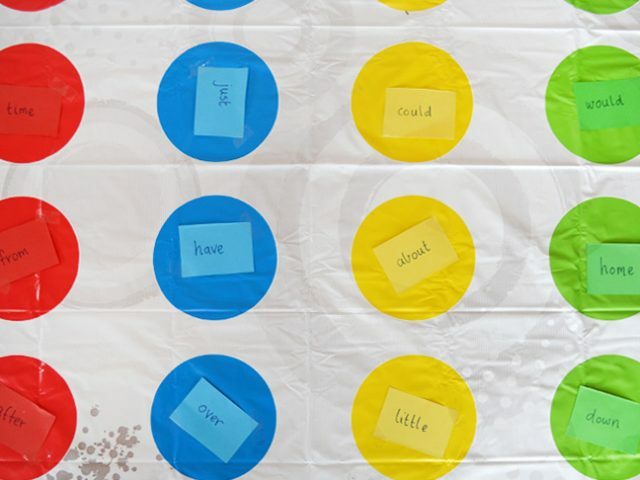 Memorising sight words from a list is boring, but learning sight words while playing Twister is, according to my six-year-old, “Awesome.” Stick sight words onto the Twister dots and have the kids read the word before they cover it. 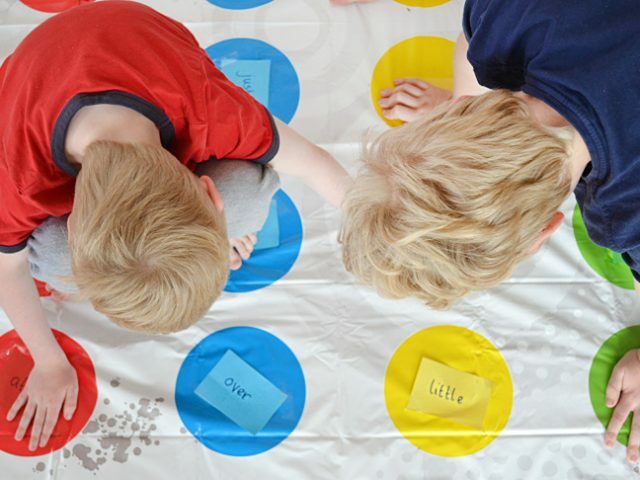 Older kids can get really tricky and use Twister to practise foreign language vocabulary. My big kids set up ‘Japanese Twister’ to practise their Japanese words. They made it even harder by making a rule that they could only use the Japanese words for the colours and body parts too. 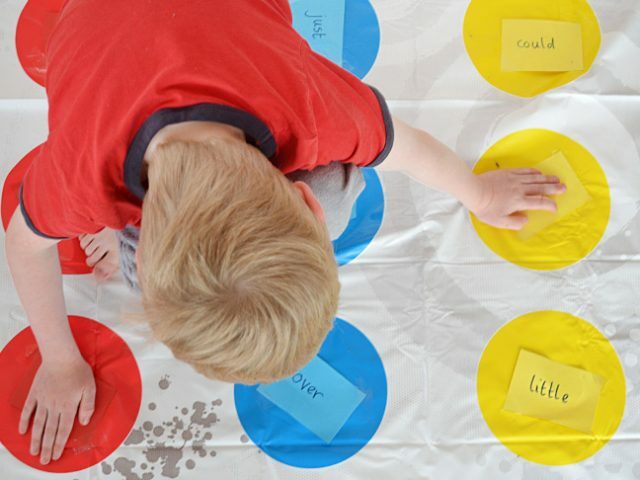 Once the kids had played a few rounds of Twister Spelling and we’d ticked ‘practise spelling words’ off our to do list, I couldn’t resist and I had a go too! While my body might not be as crazy twisty as it was when I was a kid, I can report that Twister is just as much crazy fun. Just be prepared for your kids to beat you time and time again — they love that!